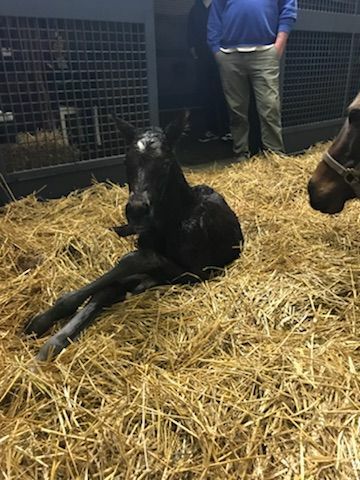 On February 5, at 9:10 PM, Ender's Sister gave birth to a lovely bay colt by Medaglia D'Oro. 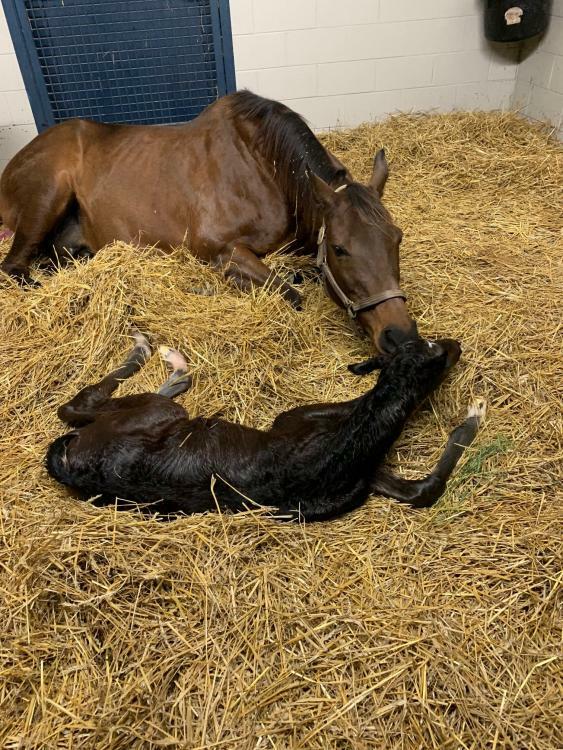 The colt beat his mother to his feet and had to wait until Mom was good and ready to get up and let him nurse, but she eventually got up as if to say, "Oh all right then." This morning he is bright and alert and despite the rainy weather was able to get outside for a few moment with Dr. Sun. We have four more mares due in the next week, so the beginning of the season will be a very busy time. Stay tuned!